As the country grapples with a teacher workforce that looks less and less like its students, a new report has found roughly 1 in 5 states are failing to either collect teacher diversity data or make it publicly available. A September report from the Albert Shanker Institute revealed that six states — Alabama, Delaware, Maine, Vermont, Virginia, and West Virginia — do not collect any district- or school-level data on K-12 public schoolteachers’ race and ethnicity. The remaining 44 states and D.C. are a spread: 21 post their school- or district-level data online; others require requests before providing the data, charge fees to disclose the information, or keep it private. The current racial diversity gap between U.S. students and educators is yawning. About 80 percent of teachers are white, and the vast majority are women. Meanwhile, as of the 2014-15 school year, the majority of students were minorities, according to National Center for Education Statistics predictions. While every state except Mississippi and Washington, D.C., saw their white student populations decline between 2003-04 and 2013-14, the black student population remained relatively stable. The Hispanic population jumped nearly 6 percent. One study, for example, found that having just one black teacher in third, fourth or fifth grade lowered black students’ dropout rate by nearly a third. 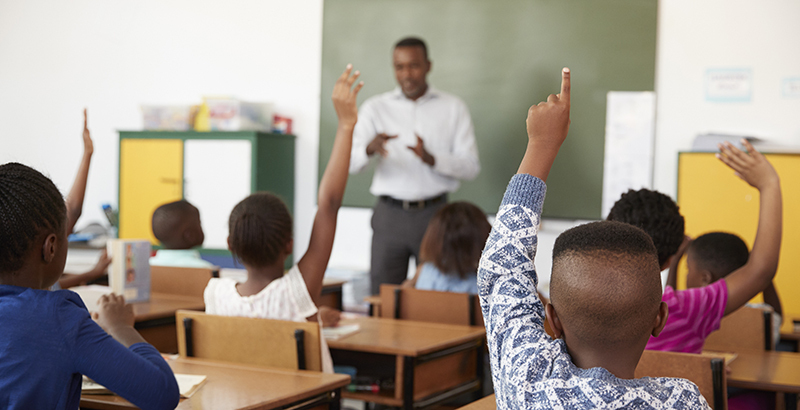 Research also indicates black teachers are less likely to suspend or expel black students, and have higher expectations of them than white educators. An integral part of narrowing this teacher diversity gap is tracking granular, school-level data, Di Carlo said. This is because the scope of the problem “can vary a great deal” from school to school. Especially with larger districts, “if you’re hiring teachers and you need to diversify your teacher workforce, you want to be putting those teachers — if you can — where they could improve the diversity” of certain schools, he said. Publicizing the data can also help parents make informed decisions about where to send their kids, he added. Seventeen states offer school-level teacher diversity data via their state education agency websites, while 18 of them (including D.C.) make the data available by request. Three states — Kansas, Mississippi, and South Dakota — charge a fee. Parents might “think it’s important to have a diverse teaching force, and might choose schools or districts [for their kids] based on that,” Di Carlo said. On top of urging all states to provide public, school- and district-level data, the report called on the federal Office for Civil Rights to incorporate teacher diversity reporting into its Civil Rights Data Collection (CRDC). The CRDC already mandates that states submit school- and district-level data on teachers’ certifications and years of experience. An OCR spokesman reached by The 74 did not provide comment.